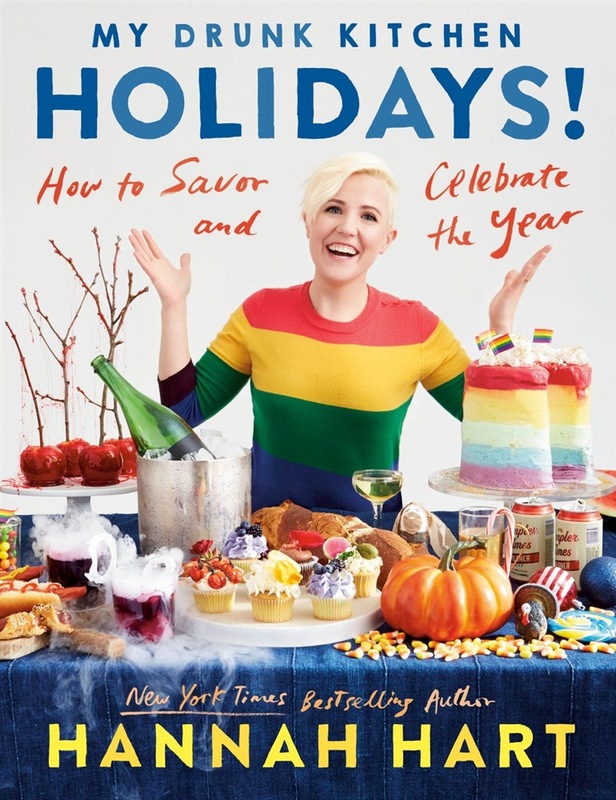 New York Times bestselling author and Food Network star Hannah Hart is back with her biggest book ever: a humorous cookbook celebrating year-round holidays with food, drink, and friends. 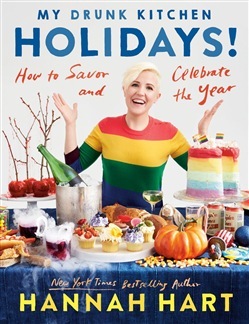 In a world where everyone is looking for some good news and something to celebrate, Hannah Hart is there with almost fifty ideas, arranged into twelve months of themes and recipes for how to celebrate with family and friends. A collection of recipes, activities, and suggestions about hilarious and joyous ways to celebrate with family, friends, pets, and your entire community, My Drunk Kitchen Holidays! will commemorate holidays from Valentine's Day to Graduation, Pride Month and International Left-Handers’ Day (really!). The book will cumulate with the fall holidays that get much deserved attention: recipes for Halloween, Thanksgiving, and a celebration of Hanukkah/Kwanzaa/Christmas that is festive, inclusive, and incredibly hilarious. Acquista My Drunk Kitchen Holidays! in Epub: dopo aver letto l’ebook My Drunk Kitchen Holidays! di Hannah Hart ti invitiamo a lasciarci una Recensione qui sotto: sarà utile agli utenti che non abbiano ancora letto questo libro e che vogliano avere delle opinioni altrui. L’opinione su di un libro è molto soggettiva e per questo leggere eventuali recensioni negative non ci dovrà frenare dall’acquisto, anzi dovrà spingerci ad acquistare il libro in fretta per poter dire la nostra ed eventualmente smentire quanto commentato da altri, contribuendo ad arricchire più possibile i commenti e dare sempre più spunti di confronto al pubblico online.